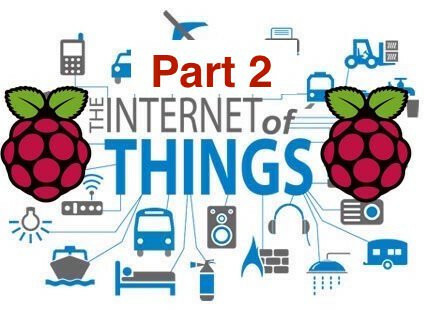 Part two of the beginner's guide to getting started with the IoT and Raspberry Pi. 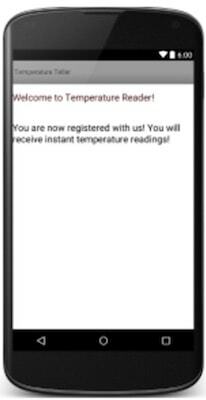 Receive the temperature readings on your Android device. Display the database of the temperature readings sent by the Pi. 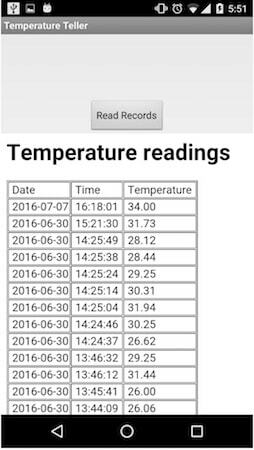 To receive the temperature readings on your Android device, we need our Android app to receive data from the server created above. Before we write the script to send GCM push notifications, you’ll have to create a Google API key for your application. Go to Google's Developer Console and create a new project. Save the project number created with the project. You’ll have to use it when configuring the Android application. From the API Manager, select Overview and then enable Google Cloud Messaging (from under Mobile APIs). Now, select Credentials, click on Create Credentials and then on the API key, and make a new server key (do this from the same device that hosts your web server). Save the API key generated; it will be used when the server communicates with Google service. Create a new file, "sending-push-notifications.php", in your DocumentRoot Directory, or download the code file. When a new application user registers with Google GCM, the application sends the GCM RegID to the server, which gets saved in the table regions that we created earlier. As soon as the recorded temperature exceeds the set threshold, the file "write-to-database.py" sends a URL request to the server to run this file to send an alert to the user. Your web server then connects to the Google server and sends the message, which is pushed by the server to registered devices. That's all there is to the server side scripting for this project. 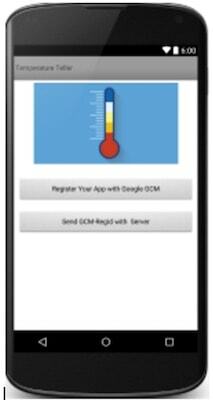 The Android application is a GCM client and it will register with the GCM server and receive a GCM-Registration ID. Then it will share the GCM-Reg-ID with the application server. Finally, it will receive a push notification from the GCM server and alert the user. *The application is developed on Android Studio, thus it is recommended that you install Android studio. It is at the bottom, below Extras in the SDK Manager. Sync the project after addition. If everything looks alright, move to the next step. During development of the web server, we created a project in the Google console for creating the Google API server key. Google will assign a project -ID. We need to use that Google project ID to register this Android application with the GCM server. Now let’s start creating activities for the app. Make sure the MESSAGE_KEY is same here and at the server (in our case, we have used m). APP_SERVER_URL is the URL of your server that you created before (Put your server url in here). GOOGLE_PROJECT_ID is the project id that you created before. (Put your Google project ID here). * Created by my on 7/12/2016. "registerGCM - successfully registered with GCM server - regId: "
This class registers your Android device with the Google Cloud Server. Google Cloud Server sends a Registration ID to your Android Device. Now we need to Send this ID to the server. Log.e("AppUtil", "URL Connection Error: "
result = "RegId shared with Application Server. RegId: "
The above code is used to send the registration ID to the server. But the app never did, so now let’s finish that task too! Next, add a class GCMNotificationIntentS for notification generation whenever there is a temperature alert. "Working... " + (i + 1) + "/5 @ "
Now we will create an activity where the user will get the temperature reading, and a button on that activity will open the URL where we stored the database of the past temperatures. Now we are almost finished creating the application. You don’t want the app to show the registration prompt every time the app is opened, so you'll need to add the following code. This will register the user’s Android device the first time they open it. Otherwise, the DisplayText.java will open. Edit your styles.xml, strings.xml, dimens.xml, etc. accordingly. Note: You should add images to the drawable folder. If there is a notification, it will be displayed above the records. Congratulations! You have completed the tutorial. We hope you are able to develop the project with minimal problems.